They're all looking smart off San Siro, wearing shirts, suits etc having really good jobs.. Does anybody have the full song from 3:00 to 3.18? I love how they start singing after Forza Milan i Milan ole but they're not showing it here. Forza Milan il Milan ole! ....fdl was around before " red and black september "..cool video though. Can somebody translate tonights coreo of CS ? Red like fire, black like your fear. "Casciavit" is a reference to the whole casciavit/bauscia (working class "spanners" vs upper class "braggers") divide that used to exist between Milan and Inter fans. It doesn't anymore (economic differences have ceased to exist over time, becoming completely meaningless with Silvio's arrival, as the club shifted away from a left-wing political identity), but ahead of today's elections, I guess the irony lies in the fact that it would've been unthinkable for Milan fans to vote for someone like Berlusconi 60-70 years ago. i cant believe the entire curva agreed to do that banner. 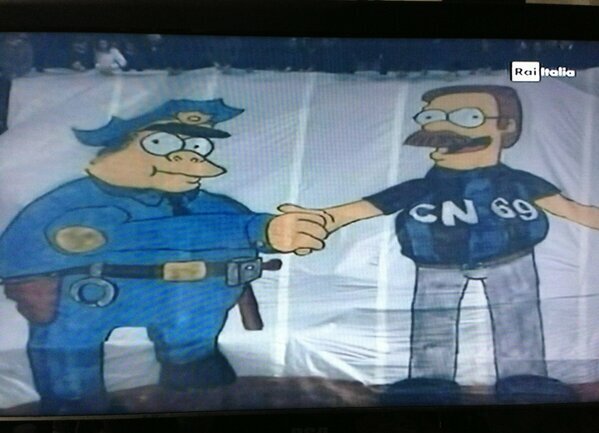 Did Inter Ultras collaborate with police or something? As a fan of DR House, I must advise you to have your kidneys checked out.Also, quit smoking . 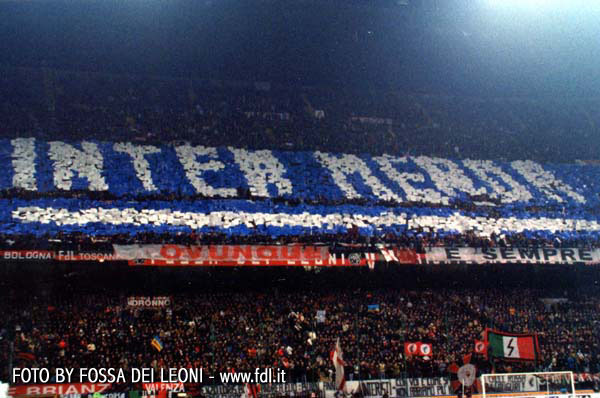 “We have to have our say on the latest situation that could be detrimental to the future of our beloved and glorious Milan and which, because we love these colours, we can not accept,” it read. “Let's start from last year. In July we find ourselves supporting the club’s new project of focusing on youngsters to balance the books, seeing us say goodbye to some of the biggest champions of the last few years and the two best players from recent seasons,” referring to Thiago Silva and Zlatan Ibrahimovic. “We found all of the Rossoneri support against us, but we decided to embrace the forward-thinking line realising that there is a serious project behind it, made up of strong youngsters and a club with solid accounts. 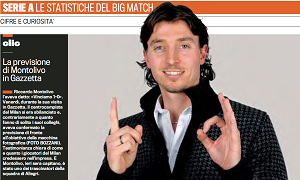 “The championship starts with great difficulty and Allegri’s Milan seems to be in a hole. We, aware that contesting would be detrimental to the environment, take a stand and decide to support Milan in the most difficult moment. “The choice works – a sort of tacit agreement between the Curva, Coach and the team to row in the same direction is made and, despite a team that in comparison to the Ferrari of the big European clubs is comparable to a 500, we begin to reap the benefits with the explosion of Stephan El Shaarawy and careful management of the players from Coach Allegri, who we recognize as having been the driving force of this project, and that with only one valued addition, Mario Balotelli in January, gave us the satisfaction of going from penultimate to third place. “Today we find ourselves with a project which has just started (one year in certain sectors is only a small step) which will soon be dismantled because of the choice of the President. “We understand, but do not share the idea, that who invests may decide to change Coach for personal reasons, but if we are talking about a project then you have to at least start with an affirmed Coach and not with people like Seedorf or others who have no experience and will take over a young side which is a month away from its first official engagement such as the difficult Champions League preliminary round.